The USB Printer Switch Hub is 1 standard USB-A female port for connecting with USB devices ( such as printer, scanner, projector, camera, keyboard, hub and etc, which has USB-A interface), 2 USB-B female ports for connecting with 2 computers. Each port owns respective button. and it is Compatible with USB 2.0/1.1/1.0. Simply plug the USB cables from your computers and your USB device into the switch and you are ready to go. No external power is required. The USB A-B Cable is 5 feet, It is easy to connect. 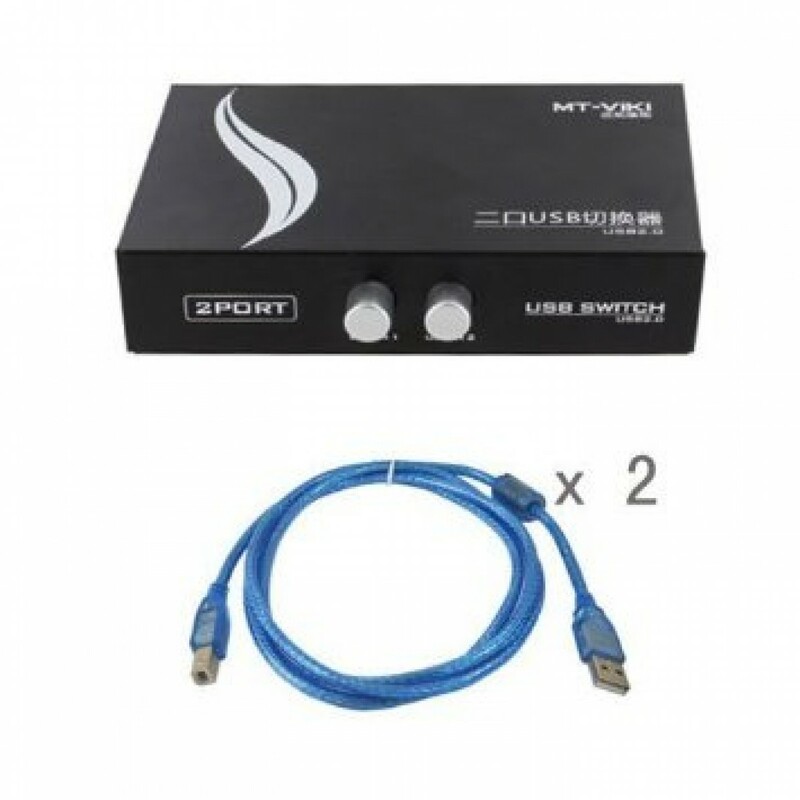 Kit Includes: 1 x 2 Port USB 2.0 Sharing Switch Box, 1 x 2pcs 5 Feet USB A to B Cable. Buy as a kit and save! This affordable package will be a wise choice to spend less money but gain more qualified necessaries for printer switch. The USB 2.0 Port Share 1 USB Switch. With this portable manual sharing swith machine, you can share one USB devices, such as printer, scanner, hard disk, etc, with two computers. It is an economical choice for you to use in the office or home!The USB cable is easy to connect. 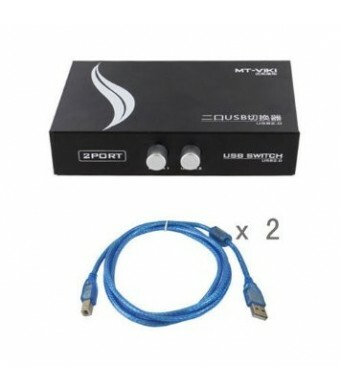 Kit Includes: 1 x 2 Port USB 2.0 Sharing Switch Box, 1 x 2pcs 5 Feet USB A to B Cable.